Manufactured using latest technology and graded stainless steel, our range of rollers are used in various applications such as converting, processing and others. Fabricated in accordance with set industrial standards, these are known for their features such as superior strength, fine finish, durable performance and are coated with anti-corrosive material. Further, our range is available in various models and specifications to suit the diverse requirements of the clients. 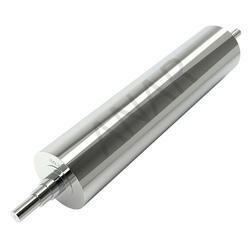 Our range of Stainless Steel Rollers are used in various applications such as converting, processing and others. Fabricated in accordance with set industrial standards, these are known for their features such as superior strength, fine finish, durable performance and are coated with anti-corrosive material. Further, our range is available in various models and specifications to suit the diverse requirements of the clients. 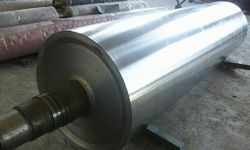 Our range of Stainless Steel Rolls is used in various applications such as converting, processing and others. Fabricated in accordance with set industrial standards, these are known for their features such as superior strength, fine finish, durable performance and are coated with an anti-corrosive material. Further, our range is available in various models and specifications to suit the diverse requirements of the clients. 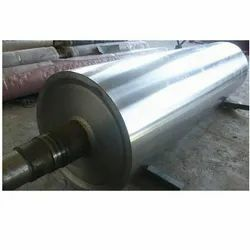 Anar using latest technology and graded stainless steel, our range of rollers are used in various applications such as converting, processing and others. Fabricated in accordance with set industrial standards, these are known for their features such as superior strength, fine finish, durable performance and are coated with anti-corrosive material. Further, our range is available in various models and specifications to suit the diverse requirements of the clients.